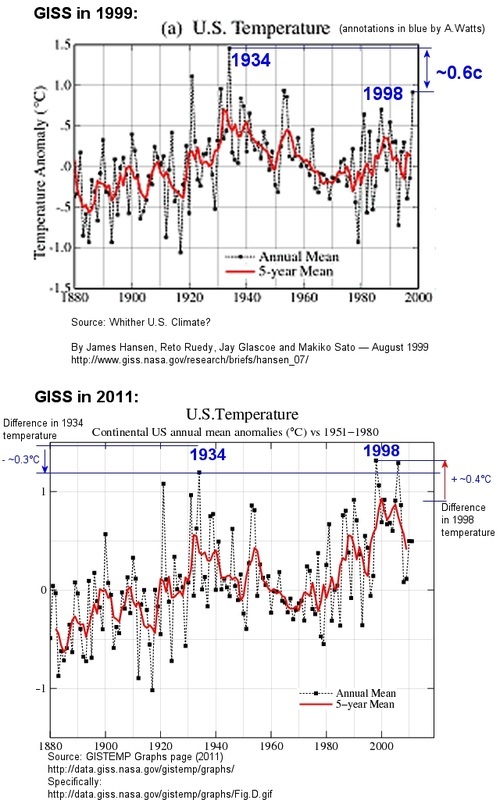 GLOBAL WARMING HYSTERIA AND LIES! Global Warming is Why We Are Trapped! Senator Jeff Merkley (D-Ore) has lately been holding town hall meetings across the State of Oregon, something he does regularly around the turn of the new year. Yet due to the approaching high-profile election this year, with a field of Republican candidates seeking to unseat the incumbent Democrat Merkley, the first set of town halls the Senator hosted have gained increased attention from candidates, citizens, and citizen journalists. Daylight Disinfectant’s Dan Sandini attended a town hall held in Multnomah County this past weekend, and recorded video footage here of a concerned citizen in the crowd voicing her desire to see Senator Merkley supporting efforts to legislate carbon use through carbon taxes and other government initiatives in order to stop the release of elemental carbon into the atmosphere, an emission that happens anytime carbon-based materials are burned. Scientists are currently in a heated debate over whether carbon emissions, from sources like wood-burning stoves, automobile exhaust, and even breathing, are significant contributors to change in the Earth’s climate. Sandini, interested in getting another take on the issue, sent the video to Dr. Gordon Fulks, a PhD in Physics and known skeptic of significant man-made climate change and it’s alleged disastrous effects. Watch the video of the concerned citizen’s question and Merkley’s congruous response, and then read Dr. Fulks’ response. You can decide for yourself, and as always, we encourage you to be active participants in our governmental system by attending these town hall meetings and engaging in discussion with public servants over whether or not it is the government’s place to pass legislation in accordance to emergent and complex scientific theories. This is typical hysteria from Senator Merkley. He uses the now familiar arguments that have no validity in establishing a link between man-made carbon dioxide and the various phenomena he mentions. Merkley offers NO arguments supporting his contention that man-made CO2 causes catastrophic warming, probably because he believes it is self-evident. He cannot see how inconsistent this is with most scientific arguments on both sides of this issue that point to the enormous complexity of the climate system. That’s the rationale for the billion dollar climate models that fail so spectacularly. Alarmists cannot have it both ways: self-evident and extremely complex. The reality is of course closer to extremely complex. Are Merkley’s bark beetle infestations, catastrophic forest fires, droughts, and alleged declining mountain snow related to an alleged warming in the Pacific Northwest? NO! As with all the fables that the scientifically illiterate weave about Global Warming, there is a shred of truth to some allegations but no truth to the inferences they draw from them. 1) Bark beetle infestations are not significantly affected by warmer or colder winters. 2) Catastrophic forest fires have much more to do with poor forest management than with summer droughts. Summer droughts are the norm around here. 3) Severe Droughts in the Pacific Northwest, like warm periods, follow cyclical patterns related to ocean cycles. Our least annual precipitation in the historical record occurred in 1929, with several other dry years through the Dust Bowl up to 1953. Over the last ten years, we have been very close to normal. 4) Mountain snow pack did decline on average from the high about 1950 but has since recovered. 5) Oysters probably do not like “carbolic acid” (phenol) but that is not what you get when CO2 dissolves in water. Merkley needs to get the terminology correct! 6) Alleged ‘ocean acidification’ is also largely nonsense. Any minute changes in ocean pH from carbon dioxide are far less than changes from natural causes. In short, Merkley needs to learn something about Global Warming before displaying profound ignorance. 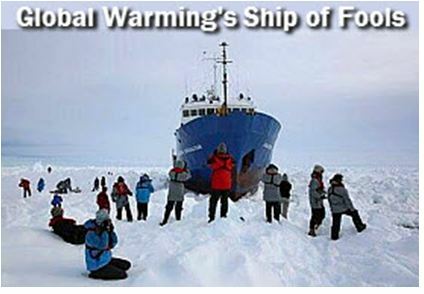 GLOBAL WARMING - A ORCHESTRATED, MONEY MAKING GIANT LIE! Bulgaria is expecting a blizzard with 20 cm snow. Code orange for dangerous weather has been declared for half of Bulgaria. There will be strong winds, heavy snow and frost in Vidin, Montana, Vratsa, Pleven, Lovech, Gabrovo, Veliko Tarnovo and Smolyan. In Sofia, there is a winter scenery and all cleaning machinesare on the road, the capital's major Yordanka Fandakova told bTV. In her words, there will be plenty of rain but the heavy snow will be fully cleaned. After WW!, all the great nations, including the United States, were war-weary, devastated, and mourning their dead. Peace was the great universal desire. Thus when it was proposed by Wilson to set up a "League of Nations" to ensure peace; all the great nations, with no Russian Czar to stand in their way, jumped on the bandwagon without even stopping to read the fine print in that insurance-policy. The whole story behind the United Nations is a very long one, but it is suffice to say the very same people who created the Federal Reserve and many other self-serving organizations, were responsible to the League of Nations and the United Nations being put in place. That is; all but one; the United States, the very one that Schiff and his co-conspirators least expected would balk and that was their one fatal mistake in that early plot. You see; when Schiff planted Woodrow Wilson in the White House; the conspirators assumed that they had the United States in the proverbial bag. Wilson had been perfectly built-up as a great humanitarian. He supposedly became established as a God-man with the American people. There was every reason for the conspirators to have believed that he could & would have easily convenienced Congress into buying into the "League of Nations," sight-unseen - the very same way the Congress of 1945 bought the "United Nations," sight-unseen. But there was one man in the Senate in 1918 who saw through that scheme just as the Russian Czar had in 1814. He was a man of great political stature; almost as great as that of Teddy Roosevelt and fully as astute. He was highly respected and trusted by all members of both houses of Congress and by the American people. The name of that great and patriotic American was Henry Cabot Lodge, Sr. Lodge completely unmasked Wilson and kept the United States out of the "League of Nations." Godfather of "Global Warming" Admits He "Might"
Two months ago, James Lovelock, the godfather of global warming, gave a startling interview to msnbc.com in which he acknowledged he had been unduly “alarmist” about climate change. The implications were extraordinary. 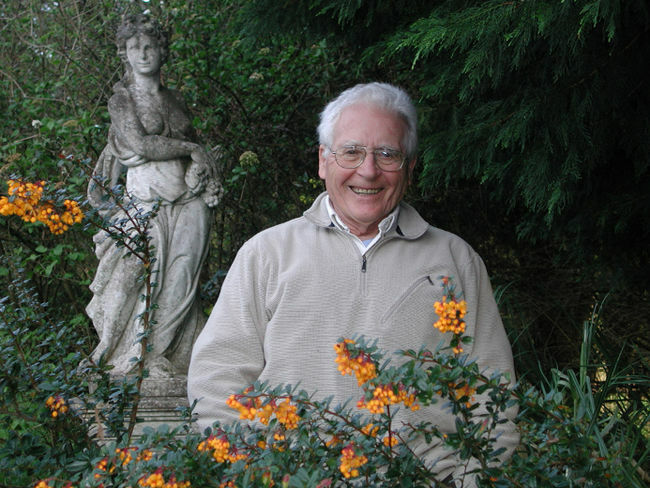 Unlike many “environmentalists,” who have degrees in political science, Lovelock, until his recent retirement at age 92, was a much-honoured working scientist and academic. His inventions have been used by NASA, among many other scientific organizations. 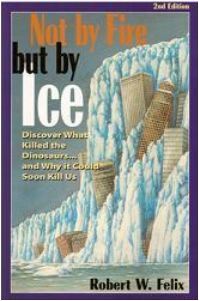 Warning of Global Cooling Coming Yet 20 Years Later They Would Have you Believe It Is All Global Warming! Liars! 1974 - 1977 -Sunspot Cycle. The changing weather is apparently connected with differences in the amount of energy that the earth's surface receives from the sun. 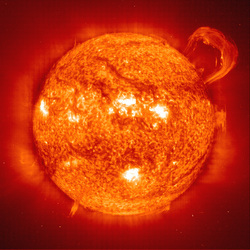 Changes in the earth's tilt and distance from the sun could, for instance, significantly increase or decrease the amount of solar radiation falling on either hemisphere—thereby altering the earth's climate. Some observers have tried to connect the eleven-year sunspot cycle with climate patterns, but have so far been unable to provide a satisfactory explanation of how the cycle might be involved. Climatic Balance. Some scientists like Donald Oilman, chief of the National Weather Service's long-range-prediction group, think that the cooling trend may be only temporary. But all agree that vastly more information is needed about the major influences on the earth's climate. Indeed, it is to gain such knowledge that 38 ships and 13 aircraft, carrying scientists from almost 70 nations, are now assembling in the Atlantic and elsewhere for a massive 100-day study of the effects of the tropical seas and atmosphere on worldwide weather. The study itself is only part of an international scientific effort known acronymically as GARP (for Global Atmospheric Research Program). The earth's current climate is something of an anomaly; in the past 700,000 years, there have been at least seven major episodes of glaciers spreading over much of the planet. Temperatures have been as high as they are now only about 5% of the time. But there is a peril more immediate than the prospect of another ice age. Even if temperature and rainfall patterns change only slightly in the near future in one or more of the three major grain-exporting countries—the U.S., Canada and Australia —global food stores would be sharply reduced. University of Toronto Climatologist Kenneth Hare, a former president of the Royal Meteorological Society, believes that the continuing drought and the recent failure of the Russian harvest gave the world a grim premonition of what might happen. Warns Hare: "I don't believe that the world's present population is sustainable if there are more than three years like 1972 in a row." Our Sun Is In Hibernation! Four years ago after intensive research into solar activity, Casey made a startling discovery: The global warming phase is over, and a dangerous global cooling trend is rapidly approaching, threatening to plunge the Earth into a devastating cold era that will last for at least 30 years, perhaps longer. But is anyone ready for such a shift? 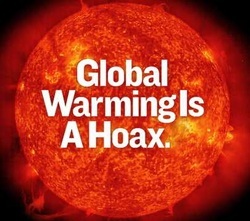 This new cold climate will have a dramatic impact across the world; an impact made all the worse as world leaders continue to ignore the data and mislead their citizens about the dangers of man-made global warming. In Cold Sun, Casey lays out the evidence showing that: Global warming has ended. A ‘solar hibernation’ -- an historic reduction in the energy output of the Sun—has now begun.· The Earth’s temperatures have been steadily decreasing.· The next climate change, shifting from warming to decades of dangerously cold weather has already begun.· A record number of earthquakes and volcanic eruptions are to be expected. Mr. Casey has achieved a highly public, unmatched record of successful climate predictions among climate researchers including those in NASA, NOAA and the UN-IPCC. Despite this, there has been little attention paid to his warnings of the travail to ensue from this next climate era. Our leaders and the US and foreign governments continue to waste precious time and resources devoted to controlling global warming--a natural climate period that no longer exists! 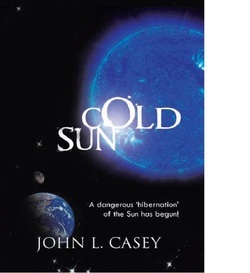 In Cold Sun he explains how we have been misled for many years about the driving forces behind Earthly climate changes, and how to prepare for this rapidly advancing shroud of globally devastating cold in what little time remains.